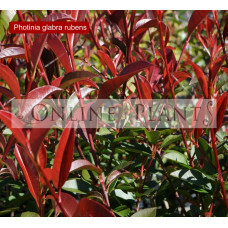 Photinia is a popular shrub that is widely used for fencing and screening purposes. 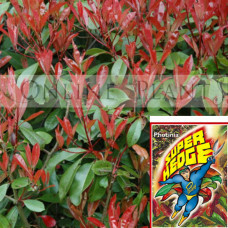 The Red Robin is one of the well-known species of Photinia which is often planted as a dense, evergreen hedge. They produce red coloured oval leaves which turn into the dark green after a few weeks. The photinia generates small white flowers during the spring, which turn into red fruits that last through the winter. 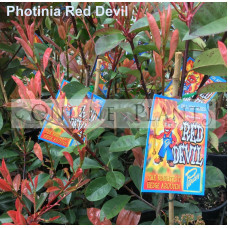 To ensure the healthy growth of Photinia Red Robin, be sure to provide well-drained soil. Also, plant them in full sun or partial shady position. In order to protect these plants from diseases, make sure they get enough space for air to circulate around the leaves. It is important to remove dead leaves or perform mulching to prevent the fungus from affecting the plant. Pruning and trimming photinia on a regular basis is important to promote a new healthy plant. 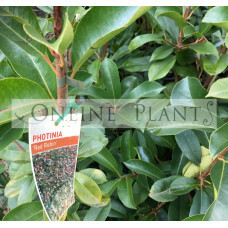 Where to Buy Photinia Online? 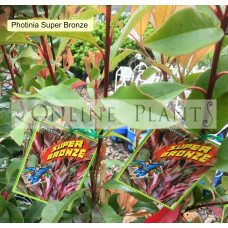 It is really a good decision to buy photinia online Australia. 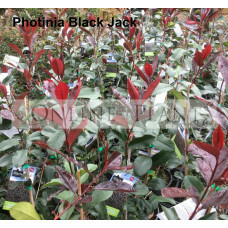 Online Plants is a leading online plants nursery where you can find all the popular varieties of Photinia for sale. 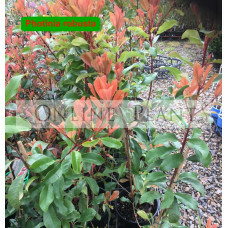 You can order our Photinia plants either online or over the phone. We also provide garden consultation and design services to our customers. 'Allyn Sprite' is a low evergreen rounded shrub. Grows to 75cm high & 75cm wide. 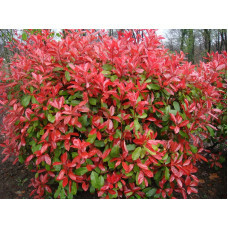 Excellent..
Photinia Red Robin is a hardy evergreen shrub with new leaves opening deep red and turning dark gree..